These locations have beautiful culture, design and architecture. With a new season, there are new adventures to be had, and what better adventure to take than a trip to somewhere beautiful and inspiring? 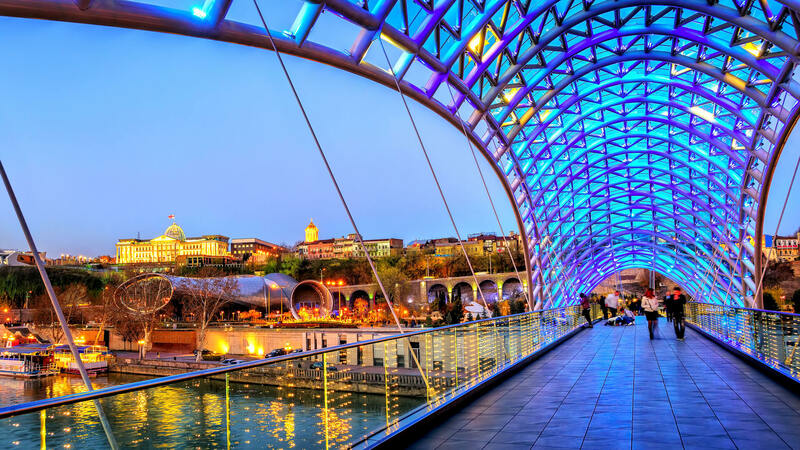 If you don’t like letting the grass grow underneath your feet and you’re itching for some art-inspired adventure, consider visiting one of 2019’s hottest destinations for culture, design and architecture. GOBankingRates rounded up the top 10 destinations this year and included airfare so travelers can base their adventures around their budgets. All of the airfares provided are under $2,000 and based on round-trip flights from Chicago leaving on March 30 and returning April 6. The majestic allure of the Taj Mahal has beckoned visitors for ages, but Agra has even more to offer travelers. 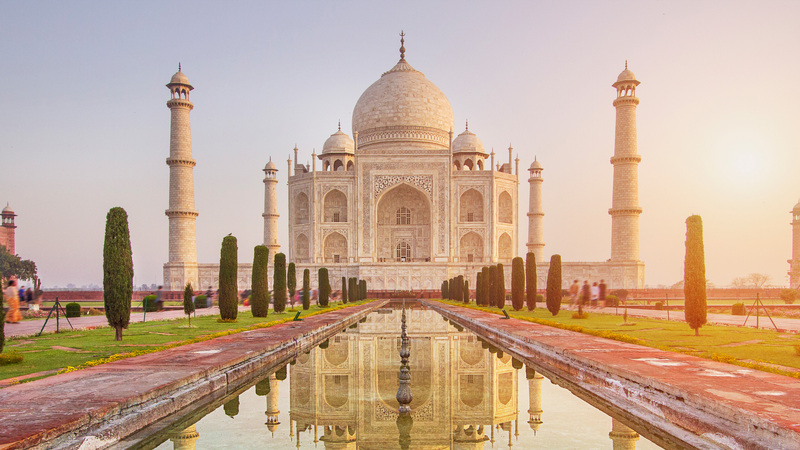 The white marble mausoleum is the main attraction, but the city is also home to India’s most expensive hotel, The Oberoi, as well as other attractions like Agra Fort and the Tomb of the Itimad-ud-Daulah. Tourists can also visit bustling marketplaces and bazaars for Indian treasures like fabrics, jewelry, marble works and clothing. Berlin was nearly destroyed in World War II, but the city has rebounded in the last several decades. In a lap around the city, you’ll spot iconic and historical landmarks of the 20th century like the Brandenburg Gate, the Reichstag Parliament building and remnants of the Berlin Wall. The city places such an emphasis on culture that it even has an island dedicated to museums, aptly named Museum Island. One of the smallest countries in the world is also a global financial center. The country’s multiracial heritage blends Chinese, Malay and Indian communities, and it boasts a preponderance of art galleries, museums and sparks fashion trends. 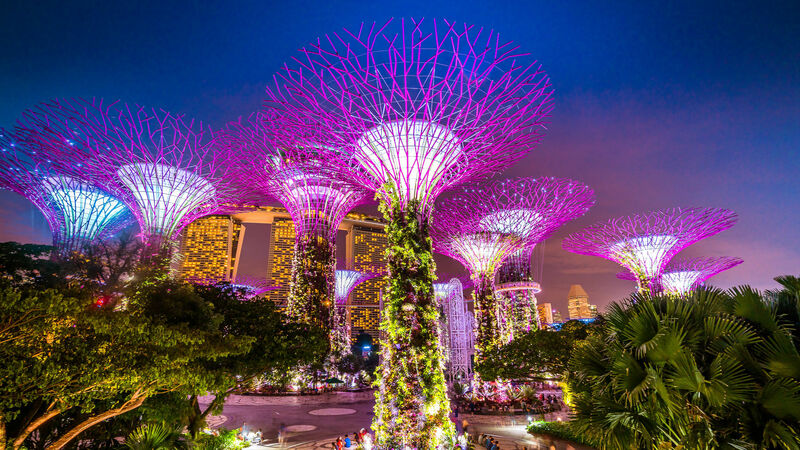 The country is known for its verdant green spaces, impeccable cleanliness and even Changi Airport is chic with its ultra-modern and futuristic design. This tiny European country gets overshadowed by popular destinations like France and Italy, but it shouldn’t be overlooked. Sandwiched between Switzerland and Austria, Liechtenstein is an up and coming spot for travelers wishing to take in medieval castles, wander through museums, ski the Alps or explore the country’s many wineries. The country also celebrated its 300th birthday on Jan. 23, 2019. Denmark’s capital city has risen through the ranks and was just declared by Lonely Planet as the No. 1 travel destination for 2019. Most of Copenhagen’s top attractions are also steeped in design and architecture: The National Museum boasts exhibitions on the country’s ancient and modern history; Tivoli Gardens is a spectacle of lights, gardens, rides and exotic architecture and is the inspiration for Disney World; and Kronborg Castle served as the backdrop of Shakespeare’s “Hamlet.” Foodies will also delight in visiting Copenhagen — Noma, named the world’s best restaurant four times, calls the city home. Georgia’s capital sits at the crossroads of the East and the West and is rich in its history and culture. The picturesque city has an equally vibrant arts scene and boasts old-world churches of several denominations, temples, synagogues and mosques. The largest city in the Southern Hemisphere has something for everyone. São Paulo offers a range of experiences from Samba dancing to outdoor markets, but the city’s art scene is not to be missed. Arguably the best collection of art in South America lives at the São Paulo Art Museum, and Pinacoteca is the city’s oldest art museum. Embu das Artes Fair is a weekend art fair that sells a variety of products like porcelains, sculptures, paintings, baskets, lace, jewelry, tools and decorative objects. Paris tends to get all of the glory when thinking about romantic and picturesque French cities, but travelers should make it a point to visit Arles in 2019. Located in the southern region of the country, Arles is best known for being Van Gogh’s urban muse. The city is filled with Roman treasures like an aqueduct, amphitheater and baths, but it also offers a fresh take on modern art and design like the city’s massive new art complex LUMA and the Musee Departemental Arles Antique. Auckland joined UNESCO’s Creative Cities Network in 2017 and the city continues to raise its arts and cultural profile. Auckland War Memorial Museum and the Auckland Art Gallery Toi o Tamaki are two of the city’s most popular museums, and the city’s natural beauty blossoms around every corner. Carved directly into a cliff face, the prehistoric city of Petra dates back to 400 B.C. The rock face is impressive, but there’s much more than meets the eye and researchers estimate that 85 percent of the city is still underground and untouched. 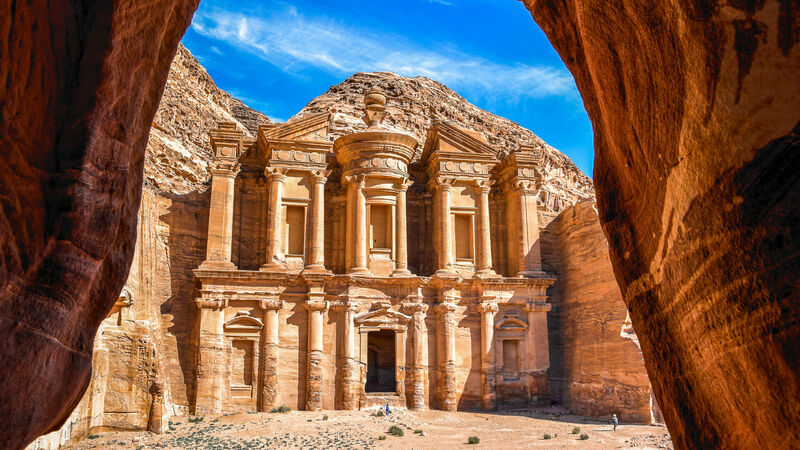 This Wonder of the Ancient World is a must-see, but it’s worth planning a visit in 2020 when the Petra Museum is slated to open. Click through to read more about destinations you should travel to before they become too expensive. This article was last updated on Jan. 16, 2019. Airfares are subject to change. This couple gave up steady paychecks for adventure.